Hit filmmaker Roy de Silva’s latest movie, ‘Sir Last Chance’ starring Vijaya Nandasiri and Lucky Dias in the lead roles along with a host of other popular stars will be released on March 25 at EAP theaters islandwide. Produced by Soma Edirisinghe, the movie is made in DTS cinemascope format. Anarkalli Aakarsha, Anusha Damayanthi, Nilanthi Dias, Sanath Wimalasiri, Palitha Silva, Arjun Kamalahasan, Priyantha Pathirage, Rodney Warnakula, Anton Jude, Priyantha Seneviratne, Janesh Silva, Chathura Perera, Teddy Vidyalankara, Tyronne Michael along with debutant Anura Pathirana are the other key players in the film. Sir Last Chance is a private detective who has a huge crowd of people named the F.P.I (Federal People’s Investigators) working under him. They are funded by the US to take care of matters which are too tough to be handled by their F.B.I. A string of comic incidents follow when a Sri Lankan filmmaker decides to engage two Indian actresses for his newest production. As the other local artistes are agitated over this decision he is forced to seek out the help of Sir Last Chance and his team. Sir Last Chance finds himself tangled with a hilarious set of events as he tries to ensure the security of the foreign actresses while a plot is hatched to kidnap them. Priyantha Pathirage is the assistant director while Pushpakumara Bandara Rajaguru is the cameraman. 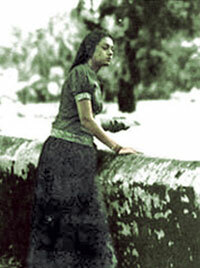 The film was shot in locations in and around Colombo, Nuwara Eliya and Bandarawela. Praveen Jayaratne is the editor and Jayaratne Galagedara is the operating executive. Manjula Ayagama is the arts director while Palitha Tennakoon is the production executive. All the equipment for the film were provided by Dil Films International. The film includes four songs by Uresha Ravihari, Sangeeth Wickramasinghe, Vijaya Nandasiri, Rodney Warnakula and Ivanka Peiris. Music is by Rohana Weerasinghe and Sangeeth Wickramasinghe. A felicitation ceremony to mark the 21st death anniversary of late actor Vijaya Kumaratunga will be held at the New Cinema Hall, National film Corporation on March 3 at 6 p.m.
Abeywardena will be the chief guest. NFC Chairman Jayantha Dharmadasa and other distinguished guests will also take part. Angelina Jolie stars as Christine Collins, an unsung figure from American history. A respectable single mother in 1920s Los Angeles, she one day comes home from work to find that her little son, Walter, has gone missing. Already embarrassed by its reputation for incompetence and corruption, the Los Angeles Police Department frantically searches for the boy to give the press a good-news story but when a little lad is duly pushed into the bewildered woman’s arms in front of hordes of reporters, Christine insists that this is not her son. The LAPD, in the form of hatchet-faced Capt JJ Jones (Jeffrey Donovan) and Police Chief James Davis (Colm Feore), arrogantly refuse to admit their mistake, but with the help of a campaigning clergyman, Rev Gustav Briegleb (John Malkovich), Christine takes on the whole rotten system of lying officialdom. As the mystery of her missing son deepens, Christine faces the chilling fury of an establishment that can’t bear to be challenged. Owing to her efforts wrongdoing is exposed, but Christine must now face an awful possibility about what might actually have happened to her child. There is no original book or magazine article about the Christine Collins case: screenwriter and former journalist J Michael Straczynski developed his story directly from newspaper files and old City Hall records. Truth is stranger than fiction, they say - and harder to compartmentalise. ‘The Changeling’, directed by Clint Eastwood, will begin screening at Majestic cinema from March 6. Sunil Aruna Weerasiri’s maiden cinematic direction, Tikiri Suwanda is being shot in locations in Narammala these days. The film is based on a story of a child who sets an example to the society which had mistreated him through various actions. Child actors Malisha Samaratunga and Pramod Mihiranga Weerasiri are introduced to cinema through Tikiri Suwanda while child vocalist Harshana Madava is introduced to back ground singing. Award winning actor Joe Abeywickrama comes back to the reel after a minor pause. Anula Karunatilleke, Jayalal Rohana, Giriraj Kaushalya, Duleeka Marapana, Ramya Vanigasekara, Anura Bandara Rajaguru, Sarath Kothalawala, Janaka Ranasinghe, Sarath chandrasiri, Rodney Warnakula, Pramudi Karunaratne, Nirdha Uyanheva, Upeksha Swarnamali, Saranapala Jayasuriya, Priyantha Seneviratne and others make up the cast. The movie will be shot using cinemascope technology. Assistant cameraman from India, Venketeshvara Ravo and Shashidher Palishetty of Ananda Cine Service, Chennai will also contribute to the making of the movie. K.D. Dayananda handles the camera. The music is by Rohana Weerasinghe. Visharada Nanda Malini, Senanayake Verraliyadda and Rodney Warnakula provide background vocals to lyrics penned by Ven. Rambukkana Siddhartha and Bandula Nanayakkara Wasam. Priyantha Pathirage and Ananda Kapuge are the assistant directors of Tikiri Suwanda. Lionel Gunaratne is the production manager, Sumith Prasanna the assistant production manager, Sumathi Kudaligama the art director and make up is handeled by Nimal Rajapakse. 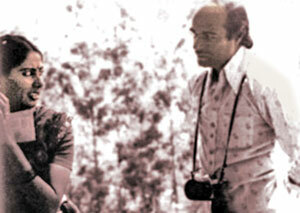 The production executive is Kanthi Weerasiri and Mahesh Nishantha is in charge of the still photography. The story and dialogues are by Lal Pagodarachchi while director Weerasiri had scripted and produced the movie on behalf of Arunakanthi Films. Pram Dissanayake, Rohana Siriwardena and Yapa Bandara Senaviratne are in charge of the plans for distribution and media coordination of Tikiri Suwanda. There are two kinds of film criticism: film journalism and film criticism per se. Film journalists write about film personalities-news, views, interviews, gossips, juicy stories etc. Film Critics on the other hand write about serious cinema and analyze films as if a literary critic would analyze a work of literature. Most readers particularly the young ones enjoy entertaining films that are glamorous and spectacular. They have their own favourite actors and would like to be one like them. This is natural. But there are films that are of social content and serious and artistic which many of us do not have the opportunities to see. This is because the exhibitors want to make money by showing box office success films only. So a majority of the viewers know only about popular and entertaining films that keep viewers escape from reality. Cinema is an art. Film appreciation or criticism is taught in the universities to students who want to understand society and culture via the cinema. In Lanka we see Sinhala, Thamil (films produced in India), Hindi (films produced in India) and English (mainly from Hollywood). As far as Indian films are concerned there are at least a dozen ace film makers who have made artistic films. Most of them are from North India. One or two are from Kerala in South India. G Aravindan, Jahnu Barua, Shyam Benegal, Goutam Ghose, Adoor Gopalakrishnan, Mani Kaul, Ketan Mehta, Saeed Mirza, Govind Nihalani, Sai Paranjpye, Satyajit Ray, Mirnal Sen, Kumar Sahani and Shaji N Karun. This list is not exhaustive because there are some fine newcomers who have shown great artistic merit. For instance filmmakers in the calibre of Girish Karnard, Girish Kasaravalli, Aparna Sen, Buddhadeb Dasgupta, Nirad Mahapatra, Kundan Shah, Tapan Sinha, Vijay Mehta have made a strong impact in making the Indian artistic cinema to great heights. The term ‘Cinema’ defies classification and presently it is now accepted that there is only ‘good cinema’ and ‘bad cinema’ In that event the names of directors from Bollywood and Kollywood and other areas of filmmaking like Andhra would find a place. Not many have heard of a Malayalam director by name G Aravindan. He died I liked two of his films - Chidambaram and Vasthuhara. 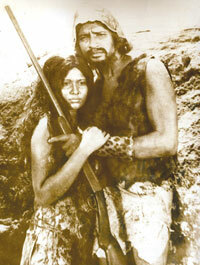 The first film featured a very talented Marati actress the late Smita Patel. In an interview, Aravindan said: that he had seen the same films mainly Thamil films many times as a child. “I was attracted by the music, the dances. I was fascinated by the famous Thamil actor Chinnappa. Oscar-winning Australian icon Cate Blanchett is to play Maid Marian in a Robin Hood remake starring Russell Crowe, entertainment industry press reported Thursday. Blanchett, 39, will play the outlaw’s love interest in the film, which sees Crowe team with British director Ridley Scott again following earlier movies including “Gladiator” and “American Gangster,” Daily Variety reported. However, Crowe is now expected to play the English outlaw who robs the rich to give to the poor, with the movie set for a title change.